When I moved to Germany in late 2015, I was fortunate to be working remotely for a small, U.S.-based travel company. Finding a job can be difficult enough as it is, and this is doubly the case when you’re attempting to find work in a foreign country where your language skills are sub-par, so it was obviously a huge relief to already have a source of income once I landed in Nuremberg. The caveat of this job situation was that it was technically just a part-time gig. Hours could fluctuate greatly depending upon workload, and I had no paid time off or other benefits. It was certainly better than nothing, but after about six months in my new home, I decided it was time to find a side-hustle. Curious about the cost of formal lessons to further my German skills, I’d been poking around the websites of local language schools. I met briefly with one school for a consultation, and after I recovered from the shock of their pricing a day or two later, it occurred to me that teaching English might be an option worth looking into to supplement my income. I sent an email to that same school, casually asking about their qualification requirements for new language teachers. I received a prompt response and was invited back to the school for an interview. This is probably a good time to mention that, at least in Germany, language teachers are almost always freelancers. The handful who might be salaried have probably been doing the job so long that their contracts are a carryover from before the shift to hiring on a freelance basis became the norm. The upside to this? 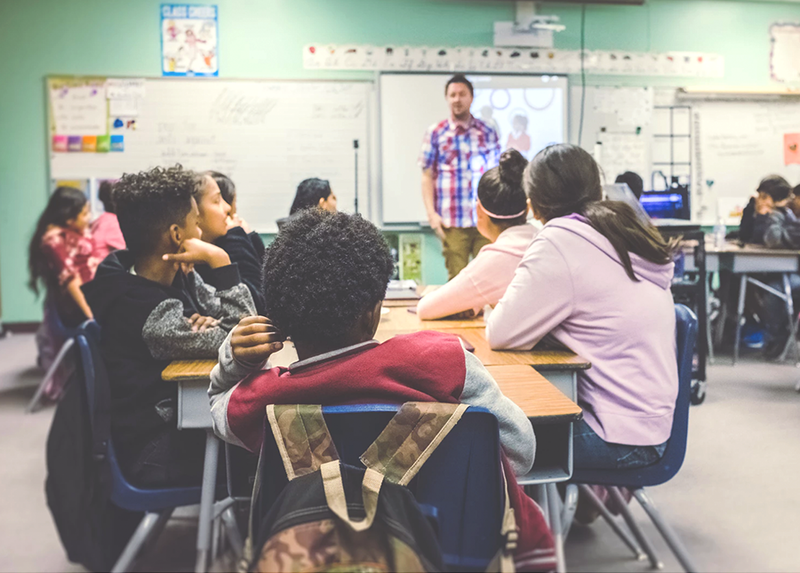 Teachers can sign on with multiple language-learning centers, they can teach independently, and they can simply say “no thanks” to a lesson offer that conflicts with their schedule or is otherwise not a good fit. The downsides? No PTO, no tax/pension/insurance withholdings, no guarantee of consistent work — the usual trappings of freelance life regardless of industry, basically. If you’ve ever so much as glanced at what it takes to become an English language instructor, you’ve probably seen acronyms like TEFL, TESOL, CELTA — these are globally recognized certification programs for teaching English as a foreign or second language. I was fully expecting this language center to command something similar, but they did not require an existing certification for new teachers. To be a native or near-native English speaker was a must, participation in their internal training course would be required, and eventual acquisition of a formal certificate would be expected. While my professional background at the time included no direct teaching experience, the fact that I had a four-year degree, business experience, writing proficiency, and the ability to speak clearly and coherently proved satisfactory. I had about three weeks until the next training session would start, but all paperwork was signed on the same day of my interview; there was no anxious waiting for days on end to hear back as to whether I got the job or not. I’ve now been teaching English since July 2016 and I have earned certificates from modules 1-3 of the Cambridge English Teaching Knowledge Test (commonly referred to as the Cambridge TKT). Until a few weeks ago, I was only teaching for that one school, and just for a few hours a week at that. As time passed and I grew increasingly dissatisfied with the circumstances of my regular job, I had been toying with the idea of leaving it behind and making English-teaching my primary source of income. After consulting with a few other freelance teachers, meeting with additional language schools, and making sure that my husband wouldn’t evict me from our apartment if my already fluctuating income continued to fluctuate, I finally went ahead and pulled the plug on my day job. Now, as someone who, at the time of this writing, has been teaching for less than two years and has only just now begun pursuing the endeavor as my primary means of compensation, I’d like to make the disclaimer that I am not an expert! I can only share my personal experience as I’ve lived it thus far. If you are interested in potentially teaching English as a foreign language — either as a passionate career path or simply as a means to an end for living abroad — I encourage you to research the opportunity in your intended country of residence. Even corporate language centers with numerous locations around the world will have different requirements and compensation structures based on the individual city and country, so do your due diligence before selling everything you own to move to a remote corner of Slovakia or Chile or Mongolia to pursue financial gain as an English teacher. Compensation. Teachers are paid per lesson unit, not per hour. One unit is 45 minutes (it is assumed that the other 15 minutes will be used for preparation and/or administrative work), and lessons are generally comprised of two units; so, an hour and a half of active teaching time. Most classes are held once per week. Rate of pay varies according to city, where the lesson is to be conducted (are teacher and student(s) meeting at the language center itself, or is the teacher traveling to a business or otherwise off-site location? ), and the general policies of the particular school hosting the course. The school I started with offers a flat rate to all teachers, regardless of experience and qualifications. Lessons taught within the language center are paid at a rate of €13.00 (EUR-to-USD exchange rates vary, but right now the conversion is approximately $15.90) per 45-minute unit, while lessons taught at a company office or a student’s home are paid at €16.00 ($19.62) per unit. If a teacher exceeds 100 units for the month, the rate increases by €2 per unit. At other schools I’m teaching with, my rate is between €18.00 – €22.50 ($22.00-$27.58) per unit. These rates are higher, yes, but are fixed regardless of where I’m teaching or how many units I’m at for the month. Of course, being freelance, all these rates are gross and it’s up to me to handle tax liabilities. Expenses. As you’re likely starting to imagine, these location variables mean that teaching can involve a quite a bit of scampering around town to get from one lesson to another. I prefer to walk whenever possible because it’s an easy way to increase my step count for the day, but if I can’t realistically get somewhere on foot, I’m either taking public transit or using a carsharing service (or, if he’s out of town for work, perhaps borrowing my husband’s car). Reimbursement may take the form of submitting train/bus tickets, receiving mileage credit for driving, or it may be offered as a flat rate per journey regardless of how I get there. Sometimes I can claim travel expenses from my home to the lesson location, sometimes it’s only possible as calculated from the language school itself. This probably sounds convoluted and it definitely can be, but the point is that I really have to pay attention to how I’m going to get to where I need to go in order to teach a class. If it’s a scenario where I won’t be able to claim travel expenses and I’m unable to get there on foot, I must factor that cost into my earnings and decide if it’s ultimately worth it for me to accept a class that may require cash out of my own pocket each time I meet that student. As far as material costs go, a good language center will be well-equipped with teaching resources. Some schools require the use of their own internally developed material, while others leave it up to teachers to decide based on student goals. Either way, there will usually be a collection of books, magazines, CDs, etc. available to either borrow or make copies from, which is vastly helpful in reducing the need for teachers to purchase material on their own. There is also, of course, the internet. The largest expense will likely be your teaching certification, as these programs are generally not going to be paid for by a language school. Since we’re all freelancers, it doesn’t make much sense for a school to pay a bunch of money for a teacher to obtain a certificate that they can then go use elsewhere. While I did receive a discounted rate on my Cambridge testing as they were organized through my school, I had to pay €50 ($62) out of pocket for each of the three tests, and I had to get myself to and from the testing center in Munich, which is about an hour and a half from where I live in Nuremberg. I took two of the three tests on the same day, which both expedited the process and helped save on transit costs, and all-told I paid about €200 ($248) for my Cambridge TKT credentials. The well-known certificates I mentioned earlier can vary in cost depending upon where and how you take the courses, but it’s not uncommon to spend anywhere from several hundred to a few thousand dollars to become certified to teach English as a foreign language. The Cambridge TKT may not have as wide a reach as the TESOL or CELTA, but it certainly works for where I live now. So, once again, do your research. Learn which certifications are acceptable in the city where you’re hoping to teach before you shell out the cash for a pricier program than necessary. No, you don’t have to be a language whiz… “Immersion” learning is a highly preferred technique, which means that classes are often conducted almost entirely in the target language. So, no, unless you’re going into some highly specialized teaching program, you will likely not need to be fluent in Russian or Turkish or Cantonese in order to teach English in countries that speak those languages. Does it help to know a bit of the local language? Certainly. Is it beneficial to have a general grasp of linguistic basics, including dreaded grammatical rules? Yes. Is it possible to ever know so much about the intricacies of language that you’ll never be stumped by a student’s unexpected questions? Probably not. But just remember, we’re all human. Language classes take place literally for the purpose of improving communication, so you should absolutely expect that you’re going to learn how to improve yours, too. Instead, teaching English pushes me out of my comfort zone on a regular basis. I’m out and about, zipping around town, meeting new people all the time, talking and engaging and learning other people’s stories while simultaneously expanding my own knowledge — and I’m not staring at a computer screen while I’m doing it. I’ve found that teaching actually helps boost my overall productivity because I do get that break from sitting at a desk, and classes have definite start and stop times. These built-in mini-deadlines make it easier to schedule my days (shout out to Bullet Journaling, which I started in early January and am totally loving) and prioritize what happens during the times I’m not teaching. Classes aren’t guaranteed, btw. Just being signed up with a language school does not mean you’ll suddenly be inundated with students. Again, this is #freelancelife, so there are plenty of other teachers also hoping to receive a call or email with a class offer. When a school has a new student or group slated to start soon, whomever is responsible for assigning teachers will take a look at the schedule to see who might be available during the intended time of the new class, and will send out the offer from there based on which teachers seem like the best fit when considering experience, location, background, etc. As I said before, teachers have every right to decline a new class, but it goes without saying that the pickier you are and the more often you say no, the less offers you’re likely to receive. If I insist on only working with individual students, refuse to work past 5:00 PM, and don’t accept anything that isn’t within a 20-minute walk of my apartment, it is going to prove VERY limiting to my income. Right now, since I’m still trying to build up my classes, I’m saying yes to just about anything that fits into my current schedule. While I never grew up longing to be an English teacher and I can’t honestly claim it as a passion that keeps me awake at night, I am happy to have fallen into this line of work. I can always relate to my students — at least a little bit — because I also know the struggle of learning a new language. I know how simultaneously frustrating and uplifting it can be to really grasp one concept while feeling totally lost on another. I like that teaching English constantly introduces me to new people, new ideas, and new opportunities to learn. Perhaps most of all, I enjoy having an income source that is both different from (no computer! talking to humans!) and similar to (words! communication!) my writing endeavors, which I feel more motivated than ever to pursue. Teaching is such an expansive topic and it’s impossible for me to cover every nuance, but if you have more questions about teaching English in Germany, I’m happy to try and answer in the comments. If you are an English teacher yourself, I’d really love to hear about your experiences and how they compare with what I’ve outlined here!